A teenager who survived the Marjory Stoneman Douglas High School shooting has died by suicide at the age of 19. Sydney Aiello was a recent graduate of Marjory Stoneman Douglas, and reportedly struggled to attend college classes due to her fear of being in classrooms. She had been on the school campus on the day of the shooting, however she had not been in the Freshman Building. Sydney had been a close friend of Meadow Pollack, one of the 17 people who died during the mass shooting on February 14, 2018. As reported by CBS Miami, Sydney’s mother Cara confirmed Sydney had died last weekend. Cara explained how Sydney had suffered from survivor’s guilt following the shooting, and had recently been diagnosed with post-traumatic stress disorder. Cara said her daughter never asked for help before she died, and expressed her hopes that Sydney’s story can now help others who are struggling. My advice to parents is to ask questions, don’t wait. She filled her days cheerleading, doing yoga, and brightening up the days of others. Sydney aspired to work in the medical field helping others in need. Sydney leaves behind her parents Cara and Joe, and her brother Nick. You can donate to Sydney’s GoFundMe page here. Last week Sydney Aiello, a student at Parkland, took her own life. She was 19. 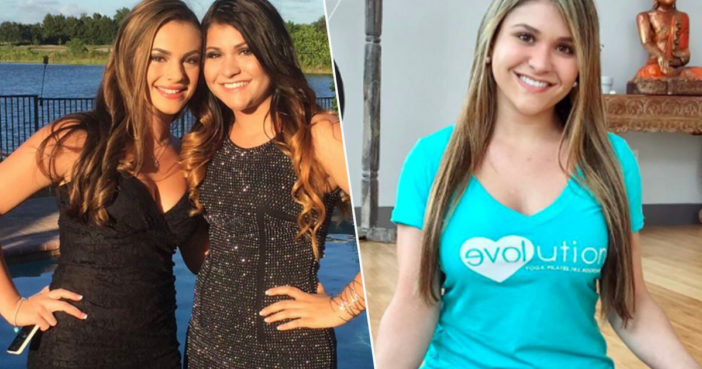 She was close friends with Parkland shooting victim Meadow Pollack. Sydney’s mom said Sydney felt survivor’s guilt, was diagnosed with post-traumatic stress disorder. Kids don’t deserve this either. Our thoughts are with the family of Sydney Aiello at this difficult time. In Australia, the crisis support service Lifeline is on 13 11 14. Hotlines in other countries can be found at Suicide.org.